Very interesting vitreous, rare, light green prismatic, tabular Epidote crystal clusters with a "frosting" of quartz crystals on matrix from Kimberley, South Africa. 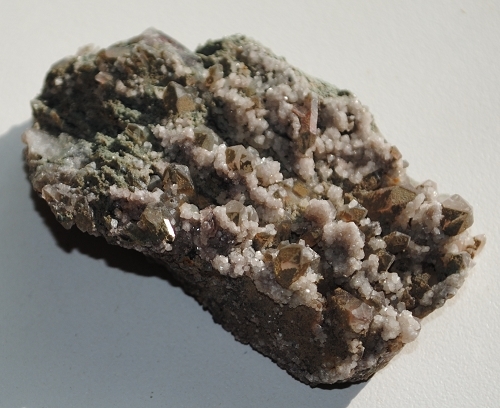 Epidote is a stone of attraction in accordance with one’s highest good. 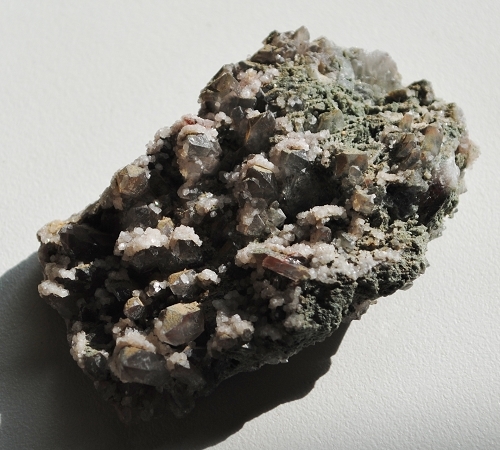 Epidote amplifies one’s natural attraction for things and situations. 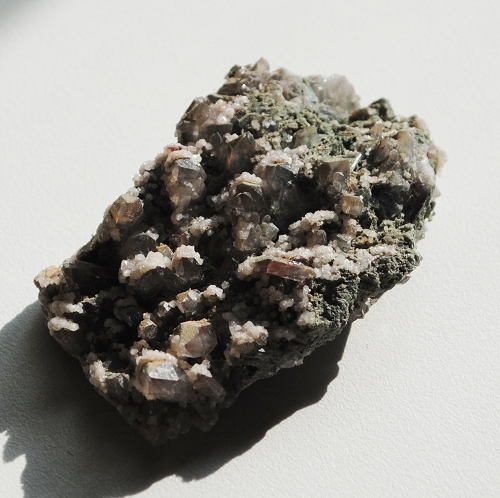 Epidote in Quartz may provide renewed energy and vision to bounce back after challenging setbacks. Epidote is helpful in overcoming habitual negativity, hopelessness, and other destructive emotional patterns. It helps to reveal the emotional core of the densities so one may transform one’s thoughts, words, and actions to reflect an enlightened and positive experience. Epidote may help those who feel stuck in their current reality, to create movement and a willingness to pursue their dreams. 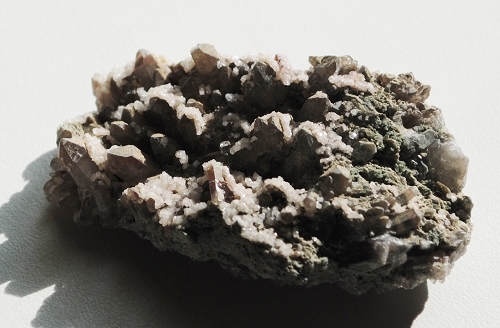 In healing, Epidote is helpful for dissolving blockages, tumors, cysts and other manifestations of energetic density. Epidote is used in the treatment of disorders associated with the nervous system, brain, thyroid and useful to combat dehydration. As an elixir, it is also used for softening and smoothing the skin.